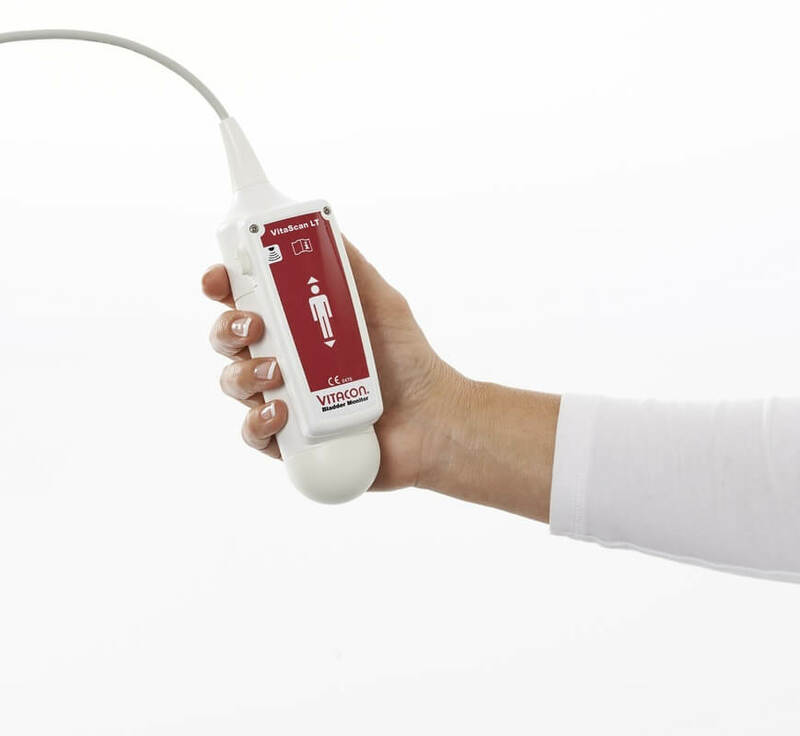 The VitaScan LT is the new standard in Real-Time Portable Bladder Scanners. Our devices are the low-cost, high-quality imaging alternative to old-style “blind” scanners that merely point users in the direction of the bladder. • Ergonomic and Lightweight Handheld Design. • No Sonographer Skills Needed. • One Button Controls Test Start and Stop. • Fully Automatic Multi-Plane Scans from One Position on the Body. º 10cm: Designed for Children. º 16cm: Designed for Adults. º 23cm: Designed for Obese. • Auto Location and Auto Tracking of the Bladder in Real-Time. • Physiological Anomalies that may Affect Volume Calculation are Visualized. • Manual Bladder correction if wanted, simple and advanced mode. • Advanced signal and image processing for sharp and clear images. • Full-page Reports in JPEG and Dicom. • Post Void Residual Calculation. • Post-Test Quality Indicators help to Train Users for Optimum Results. • Logging of all scans. 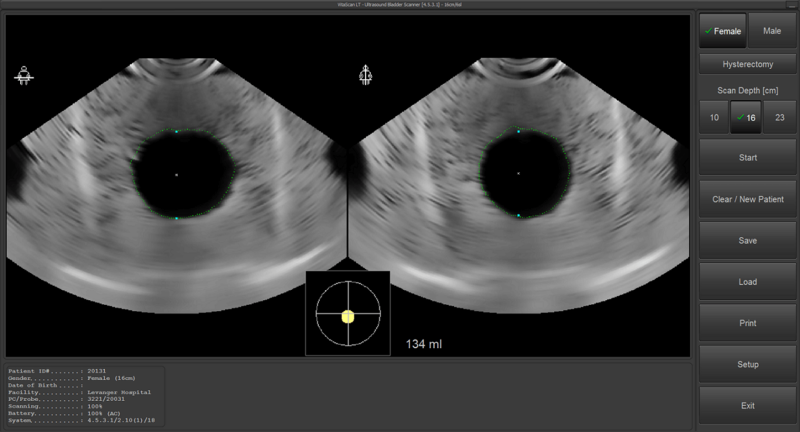 • Simulator to re-run previous scans and used for end-user training.